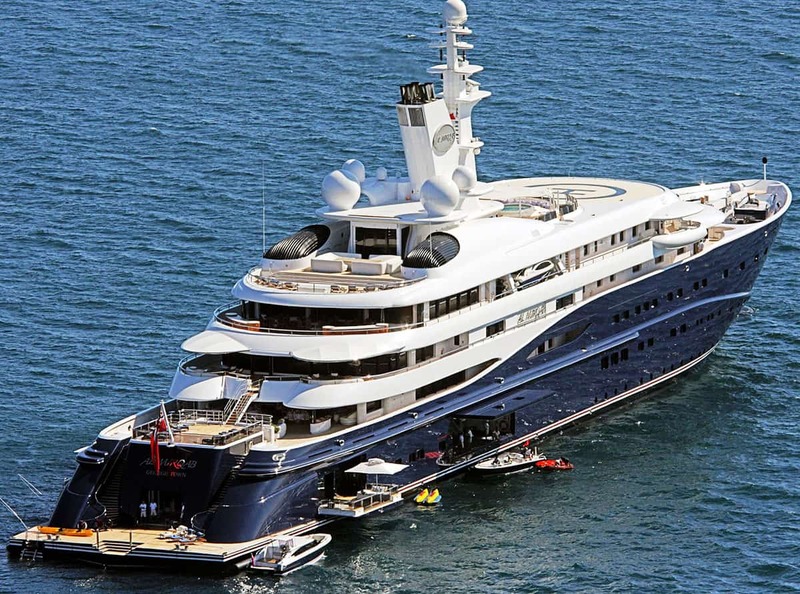 Yacht Financing, Superyacht & Megayacht Loans Starting at $5 Million! Assets America® offers luxury yacht financing for yachts, super yachts and mega yachts starting at $5 million and beyond! Yachts are watercraft used for sports, commercial use (chartering) or pleasure (including fishing), with a minimum length in the 30-foot range. Superyachts are large, expensive, professionally-crewed yachts, informally sized at 79 feet or greater, although the dividing line is somewhat subjective. Megayachts are the biggest and most expensive yachts, starting from 164 feet and beyond. Video: Benetti Yacht Tour…Very Nice! Yachts are configured as sailing or power vessels, although many sailing yachts have motors as a backup. While yachts can be quite large, they are dwarfed by commercial maritime vessels like oil tankers, ocean cruise liners, and cargo ships. Yachts can yield income through chartering, which can figure into the process of obtaining yacht loans. 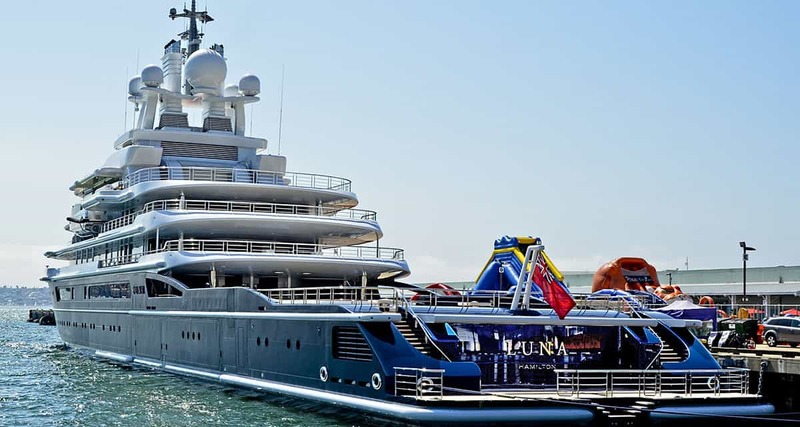 Super-yacht and mega-yacht designs often reflect the personal tastes of their owners, another factor reflecting their value for yacht financing purposes. Many factors figure into the evaluation of a luxury yacht, including its purpose, size, number of engines, sleeping accommodations, crew size (if any), chartering income (if applicable), its suitability for different sea conditions, fuel consumption and new versus used. Other factors include the legal jurisdiction of the lender, the borrower and, of course, the yacht itself. International considerations can complicate financing and must account for different laws and cross-border tax implications. Insurance survey: This type of survey is for renewal of insurance policies, not for acquisition. It is a light inspection that tries to identify outstanding issues. In-shore and coastal survey: This is the most common survey and is a good choice for many yacht purchases. It includes a full equipment listing, a confirmation of the hull number (much like a car’s VIN), complete system testing, and an out-of-water check of running gear, hull and bottom paint. Offshore survey: This is the most time-consuming and comprehensive survey, appropriate for ocean-going yachts. It expands on the in-shore and coastal survey with ultrasonic tests, hull moisture tests, heat-sensing scans, engine manifold tests, and more. The individual nature of luxury yachts means that yacht-building contracts are not standardized the way that oil tanker contracts are standardized. The yacht building yard will enumerate all the luxury yacht buyer’s individual requirements in the contract, which will probably go through several drafts before it is finalized. The contract structure reflects the obligations of the builder and the buyer. It will also include warranties, tax provisions, and often, confidentiality clauses, as the owner of a mega yacht often wants to keep a low profile. Ideally, the ship yard delivers to the buyer the yacht exactly as specified, and the buyer receives a clean title upon payment of the purchase price. Yachts must be registered in a country, but not necessarily in the country of the seller or the buyer. Registration is fairly easy as long as the yacht meets certain criteria, such as technical standards and age, especially in “open registry” countries like Liberia, Panama, Cyprus and the Bahamas. “Offshore registry” countries are usually colonies or dependencies, like the Netherland Antilles, Cayman Islands and the Isle of Mann. If the owner is a U.S. citizen, yachts weighing 5 tons or more can be registered at the National Vessel Documentation Center of the U.S. Coast Guard. Coast Guard documentation offers access to a preferred mortgage that gives the lender certain benefits, and most U.S. yacht lenders require that financed yachts are documented. How is the current market for yachts and superyachts? Across the world, the boating market—whether monohull sailboats, catamarans, yachts, or superyachts—is a buyer’s market and should remain that way for the foreseeable future. Because fiberglass and other light, super-durable hybrid materials last so long, the market has become increasingly flooded. Often multimillion-dollar yachts are selling for a fraction of what they were just 7-10 years ago. Is there a best time to purchase a yacht? The simple answer is yes, at the beginning of the off-season, although that varies around the world and especially between the northern and southern hemispheres. In Florida for instance, the best time to buy a yacht is mid to late August. What are the costs involved with maintaining a yacht? In addition to purchasing the yacht, owners typically pay for mooring and storage, insurance, operational costs, crew, maintenance, and winterization. These costs can be rather substantial. Before purchasing a yacht, one needs to make sure they are financially secure. Can my yacht qualify for tax advantages? Yes, for example, if a yacht has a berth, head, and galley, then it can qualify as a second home. What is the least and most amount of financing I can receive? While our loans start at a bare minimum of $5 million, there is no upper limit to the amount of financing available to you via Assets America®. What kind of down payment should I expect to make? While the standard down payment is 20% to 30%, really strong borrowers may be able to make a smaller down payment depending on the quality of their credit, their financial statement, and their cash position. When purchasing an existing yacht, borrowers usually take out yacht mortgages on vessels. Different arrangements are used for yacht building contracts and for chartered yachts. Other factors that can affect the loan contract are the current and proposed registration jurisdictions, the tax treatment of the yacht and the owner’s tax status. It can be said that yacht financing is arranged to protect the lender from the borrower’s other creditor claims. Yacht financing can be arranged by private commercial lenders like Assets America®, as well as banks, credit unions, boat brokers and yacht manufacturers. Typically, the loan agreement takes on a basic asset-financing structure, collateralized by the fully amortizing yacht mortgage and a lien on the yacht, as well as insurances signed over to the lender. In addition, the loan agreement may give the lender a lien on any revenues generated by chartering the yacht. Finally, the lender may require a personal guarantee and/or debenture from the borrower giving the lender a lien on the borrower’s other assets. For yacht-building contracts, the loan agreement will provide for cash advances to pay for pre-delivery construction milestones. Payments start with a pre-build deposit by the buyer, followed by installment payments as building progresses through succeeding stages, evidenced by Stage Certificates. Pre-delivery requirements also include assignment of the yacht-building contract which, in the case of default, gives the lender the right to have the builder finish construction, at which point the lender takes possession of the vessel and sells it. The yacht financing lender will release funds to the yacht builder upon receipt of each Stage Certificate accompanied by the counter-signature of an independent surveyor. The yacht-building contract usually contains clauses specifying procedures to be followed if default occurs either by the builder or the buyer. All loan agreements will contain language relevant to warranties, insurances and registration. The lender might also require covenants that preclude certain uses of the yacht, such as chartering. The borrower’s surveyor will have inspection rights to protect the borrower’s interests. Some folks choose to lease their yachts rather than purchase them. The lessor gains title to the yacht and leases the yacht back to the lessee for an agreed term. These leases are usually “demise charters” that provide the lessee exclusive use of the yacht, making the lessee the operational “owner,” although the lessor maintains title. If you are contemplating the purchase of a yacht, or a yacht newbuild, check out the yacht finance packages we offer at Assets America®. We can arrange a yacht loan for you that is sure to meet your requirements, even if you are somewhat credit challenged. Our yacht loans start at $5 million. Don’t postpone purchasing the yacht you deserve. Call us today at (206) 622-3000! For tips on buying and financing your first luxury yacht, check out these articles from Boat International, Cruising World, and Marina Reservation. Boat International also provides Yacht Market Reports and Superyacht Market Reports. If you’re interested in environmentally friendly yachting, consider checking out Blue Flag International. 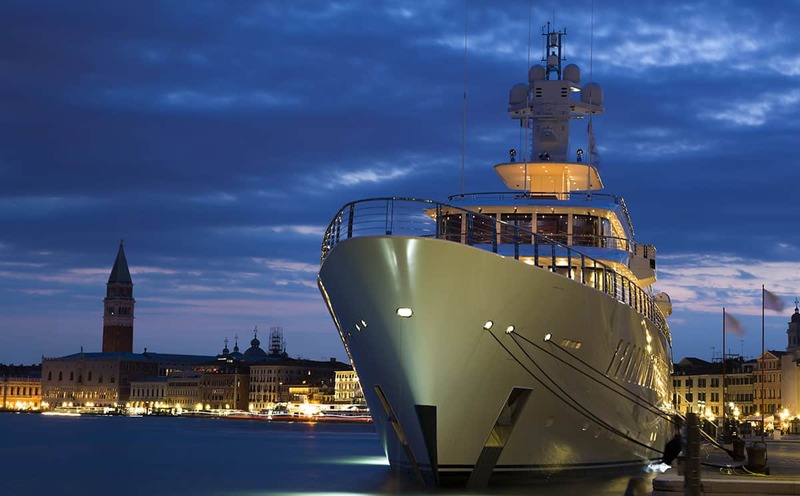 You may also enjoy this Guide To Yacht Financing from the law firm Field Fisher Waterhouse, although if you’re serious about financing a yacht or superyacht, the best way forward is to speak with a seasoned professional. The New York Times has an excellent article The Beginner’s Guide to Chartering a Yacht with Crew.